If you love to entertain guests or host wine tasting parties, your space should help you be the best host possible. The key to keeping appliances, glassware, drinks, and other accessories without your pantry or kitchen turning into chaos is to keep things organized and stored in a logical way. At Closet & Storage Concepts, we want to help you achieve the home of your dreams. If you long for a place where everyone can have a delicious drink in one hand and a scrumptious appetizer in the other, consider these ideas to organize your bar area and Make Room for Life®. Some home bars can be ostentatious with a large wraparound countertop with plenty of seating. Other bar designs feature modest built-in counters with wall shelves and cabinets. Tall cabinets or hutches with doors work well to take advantage of vertical space and protect glassware. Whichever route you go, take into account the types of events you host and what you own to create the right amount of storage. A built-in home bar may have its own wine cooler and sink area. These appliances can take up a lot of space depending on their size, so you want to incorporate cabinets that fit around them. 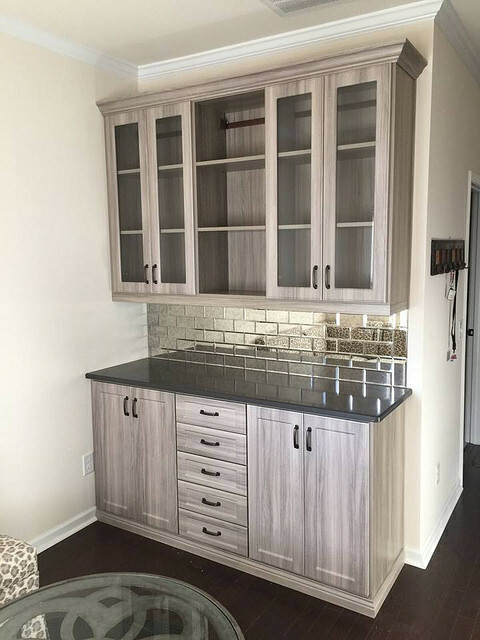 Customized cabinets are the way to go to store glassware of different sizes and heights including wine glasses and shot glasses. While having wine bottles and accessories out on display can make a home bar look inviting, the accumulation of dust and grime on surfaces can make guests cautious. Instead, consider showing off your liquor collection behind shelves with glass doors. You can also use the space to store ice buckets, shakers, and other accessories. In-cabinet lighting can set the mood. Keep items in one place will make it easier to clean countertops and entertain. Say goodbye to constant cleaning! When it comes to wine storage, make it work for your home. 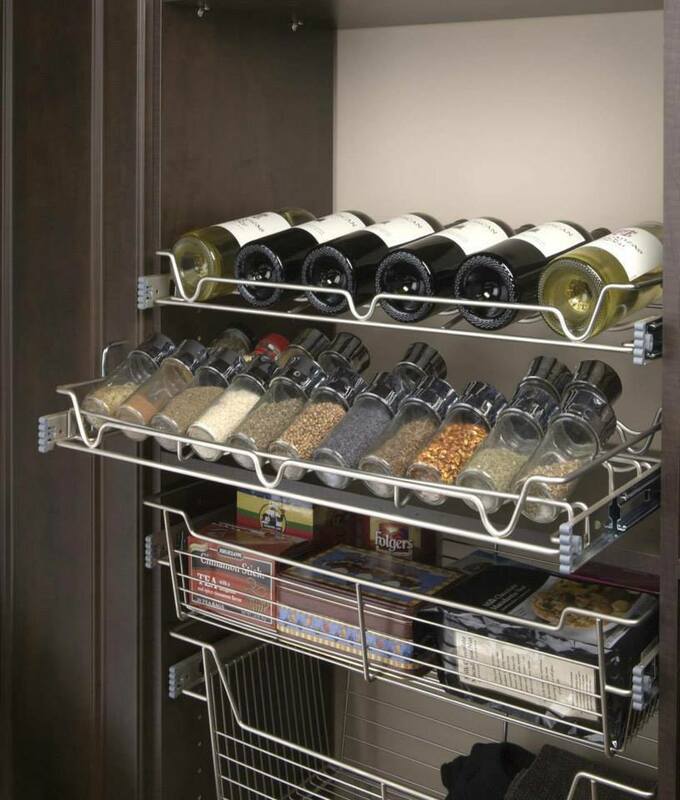 Plenty of shelving with wine racks can be created to turn a butler’s pantry into your wine cellar. For smaller collections, a couple of well-placed racks can make sense. Keep in mind that certain wines should be served chilled. Plan your entertaining area with a wine cooler in mind. A customized home storage organizer, such as Closet & Storage Concepts, can create standing cabinets with adjustable shelving, cabinets, and more. Your home bar should be the perfect spot for guests, no matter the occasion. Speak with one of our local design experts to help you decide on the perfect solution to help you entertain guests. We specialize in picture-perfect home storage solutions including custom wall units, closets, and more.